The Auckland University of Technology (AUT) (Māori: Te Wānanga Aronui o Tāmaki Makau Rau) is a university in New Zealand. It was formed on 1 January 2000 (1895 originally Auckland Technical School) when the Auckland Institute of Technology was granted university status. 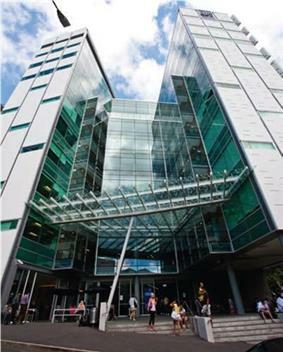 Its primary campus is on Wellesley Street in Auckland's Central business district (CBD). AUT has three secondary campuses: North Shore, South, and the Millennium Institute of Sport and Health (AUT Millennium Campus). For branding purposes, since 2010 the Auckland University of Technology refers to itself as AUT University. 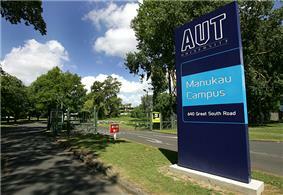 AUT was originally founded as Auckland Technical School in 1895, offering evening classes only. Daytime classes began in 1906 and its name was changed to Auckland Technical College. In 1913 it was renamed Seddon Memorial Technical College. In the early 1960s educational reforms resulted in the separation of secondary and tertiary teaching; two educational establishments were formed; the tertiary (polytechnic) adopting the name Auckland Technical Institute (ATI) in 1963 and the secondary school continuing with the same name. For three years they co-existed on the same site, but by 1964 the secondary school had moved to a new site in Western Springs and eventually became Western Springs College. In 1989 ATI became Auckland Institute of Technology (AIT), and the current name was adopted when university status was granted in 2000. AUT enrolled 27,299 students in 2013, including 3,101 international students from 85 different countries, and 1,735 postgraduate students. 87% of students were enrolled in a bachelor’s degree or higher qualification. AUT’s student population is diverse with students having a range of ethnic backgrounds including New Zealand European/Pakeha, Asian, Maori and Pasifika. Students also represent a wide age demographic with 37% of students being over 25. AUT University employed 2,063 full-time equivalent (FTE) staff in 2011, including both administrative and academic staff members. AUT promotes itself as an advocate of innovative approaches to teaching, learning and research. In particular its focus is on providing a pragmatic 'real world' approach, ensuring excellence in learning, teaching and developing outstanding graduates for practice in their chosen fields. AUT's learning environment encourages interaction between students and with their lecturers. This approach aims to develop skills of high value to employers . The most recent data available suggests that 91% of AUT's graduates obtain employment or progress to further study within 6 months of graduating. AUT has four campuses: City (Auckland CBD), South, North Shore and Millennium. City and North Shore campuses both offer neighbouring student accommodation (498 rooms and 207 rooms, respectively). AUT runs a shuttle bus between campuses. Since becoming a university, AUT has invested heavily in infrastructure, staffing and programmes. It is halfway through its $245 million building programme on both the Wellesley and North Shore campuses. Since 2000, new engineering, design, library, and business buildings have been constructed. The most recent building project completion is the new $98 million WG precinct at Wellesley campus. Named after the former Chancellor of the university, the Sir Paul Reeves Building hosts the School of Communication Studies. The new building was officially opened by Prime Minister John Key on March the 22nd, 2013. The 12-storey Sir Paul Reeves Building provides an additional learning space of about 20,000 square metres that consists of spacious open convention spaces, modern and elaborate screen and television studios and a motion capture, sound and performance studios among other things. 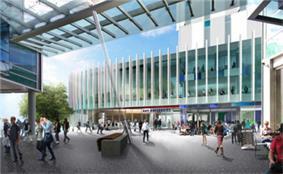 The City campus spreads over several sites in the heart of central Auckland. The largest site is situated on Wellesley Street and is home to most of academic units and central administration, including the Vice-Chancellor's Office and research centres. The Faculties of Applied Humanities, Business and Law, Design and Creative Technologies, and Te Ara Poutama share this location. AUT opened the South campus (formerly Manukau campus) in 2010, creating the first university campus based in the region. It offers a range of undergraduate and postgraduate degrees, specialising in business, computer and information sciences, education, health sciences, as well as sports management and science. South campus hosts its own library, student lounges, student information centre, course information centre, computer labs, wireless network, and café. The campus also boasts astro turf courts with tennis, basketball, netball, volleyball, touch, and soccer equipment available for hire. The North Shore campus is located on Akoranga Drive in Northcote. The Faculty of Health and Environmental Sciences (including the Sport and Recreation division) and School of Education share this campus, which has attractive park-like grounds. AUT's main sport and fitness centre is located at this campus, encompassing a gymnasium, weights room, testing equipment, golf swing clinic, and indoor courts. The campus also offers a library, student services centre, early childhood centre, AuSM branch, PrintSprint shop, health counselling and wellbeing centre, university bookshop, and food outlets, including Vesbar. In addition, the campus provides five health clinics (oral, physiotherapy, podiatry, psychotherapy, and ultrasound), which are open to the public. North Shore campus is closely linked with the nearby AUT Millennium Institute of Sport and Heath. Like AUT's North Shore campus, the Millennium campus is located on Auckland's North Shore. The Millennium Campus provides world-class sports training, and hosts both national and local sports organisations, including Swimming New Zealand, New Zealand Water Polo, Northsport Olympic Weightlifting, and Sport and Recreation New Zealand. The focus of the facility is high performance athlete development and success. The campus has world-class training facilities, athlete accommodation, sports science laboratories, an aquatics facility, and a commercial gym. AUT maintains a number of facilities off campus, including the AUT Radio Telescope – New Zealand's first radio telescope. A 12m device near Warkworth, Rodney District, it is a major step towards New Zealand's participation with Australia in the international, mega-science project, the Square Kilometre Array. AUT offers a wide range of undergraduate and postgraduate (both PhD and Master) degrees, as well as sub-degree qualifications such as diplomas and certificates. Programmes are offered in the areas/fields of applied sciences, art and design, business, business information systems, communication studies, computer and information sciences, education, engineering, health care practice, hospitality and tourism, languages, law, mathematical science, midwifery, nursing, occupational therapy, oral health, paramedicine and emergency management, Māori development, physiotherapy, podiatry, psychology, psychotherapy, public health, rehabilitation and occupation studies, social science, sport and recreation, and sport and recreation. AUT's Business School was recently recognised as one of the top business schools in the world by the Association to Advance Collegiate Schools of Business (AACSB) International. In 2010, AUT secured $18.5 million in research revenue, representing a 9% increase from 2009. Similarly, university research outputs increased by almost 25%. As a relatively new university, AUT came in eight place in the most recent (2006) Performance-Based Research Fund (PBRF) round, but has shown the greatest improvement in PBRF rating of New Zealand's eight universities. Within these key research institutes exist a large number of research centres and units. The NIPHMHR administers the Pacific Islands Families Study. AuSM (Auckland Student Movement) is the student union at AUT. It runs the campus bars, Vesbar, at the Wellesley Campus, and Vesbar @ Sports Cafe, at the Akoranga Campus. ^ Hayden Donnell, NZPA and NZ Herald staff (14 August 2011). "Sir Paul Reeves dies, aged 78".